Ok so this is a little late, but it was my mum's birthday on Friday the 6th of June. So HAPPY BIRTHDAY MUM!!! I hope you had a fun day with me at the op-shop! 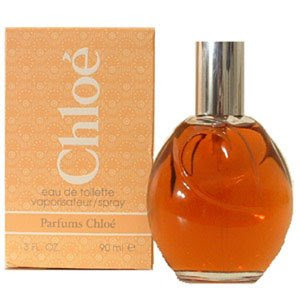 I got my mum this perfume by Chloe. I accidentally bought it for myself in Summer (by that I mean I went into Priceline for toothpaste and came out with this perfume which was on sale). So I wore it all summer and my mum always commented that she liked the smell. So yay I bought it for her and its her new favourite perfume. I no longer wear it (Henry bought me Marc Jacobs Daisy so that's my new smell) but I think if I went back to Japan I would wear it there. Wearing it here makes me miss Japan and my friends there. I love its sweetness and lightness which suits Japan, because over there its rude to wear overpowering perfume, infact I would say I never smelt the perfume of someone walking past like I do here (especially on Chapel Street). Marc Jacobs Daisy is nice and sweet too. I love the cute bottle. It's apparently meant to be more "fun and youthful" than the signature Marc Jacobs perfume and I think it succeeds in this as I used to wear it but it felt a bit too old and boring for me. I seem to change perfumes every 6 months or so. Does anyone else do this or do you have a signature scent? Maybe right now I'm still searching for "the one" and when I find it I'll stop and stick to that scent. Here are some more I've tried but didn't like as much. 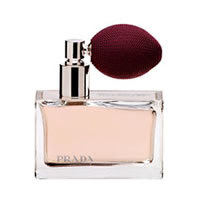 Prada perfume. I actually liked this a lot but one day my bottle was half full and the next day it was empty and there was perfume all over my dressing table...something crazy happened with the puffer thing and there was mould all in it. I don't know if it was because of the humidity in Japan (I bought this duty free on my way over) or what but I was super annoyed. Alexander McQueen Kingdom. This was the 1st perfume I chose and bought myself. I still really like it, I love the heart shaped bottle but mostly I think the smell is amazing. 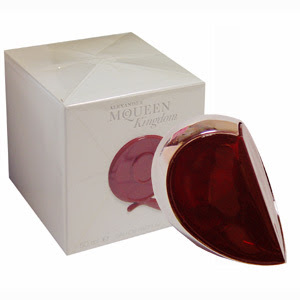 This perfume doesn't seem to be all too popular and I don't know why, I think its divine. What is your favourite perfume? Do you have a signature scent or change all the time like me? Happy Birthday Mum. Today the 9th of June is also my grandfathers birthday, so Happy Birthday Pa. We are 3 Gemini's, me, my mum and my pa.
yeah true that we associate certain scents to memories! but anyway, I love J'adore by Dior! I used to be obsessed with Armani Mania Femme but in the US I bought a huge bottle of CK In2u which I've been wearing daily. An ex-friend of mine and I bought our Mania Femme's at the same time, and so now when I smell Mania Femme it brings melancholie thoughts of her. Say happy birthday too your Mum for me. I love perfumes, My obession right now is Chanel - Coco Mademoiselle. 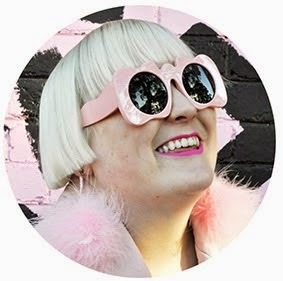 I was inspired by you and decided write up a list of my fave perfumes on my blog. Usually, good perfumes are expensive .This is what prevents a lot of people from buying such perfumes, it’s not they don’t want to but their purses are so thin. But there are some sites that offer good quality with cheap prices. Personally I used to buy cheap products with less quality, till a friend recommended this site that provides good perfumes and skin products with great prices and good quality at the same time. Thankyou for my perfume mmmmmmmm smells delicious. I had a terrific day with you and Ebs out op-shopping and thankyou Jarra for the birthday wishes. 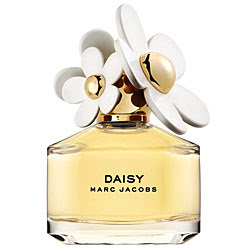 Yes I am a perfume snob and am very fussy about certain scents (some I started using ages ago) I like to rotate every few days but always using Marc Jacobs original, I bought daisy for someone else but its not me! Kenzo Flower (Poppy), L'eau d'issey, Pleasures (reminds me of when I was 15! I used it a lot then, I use it once in a while now). Prada, not the one in your post but the other one! and Chance by Chanel! I also Love Michael (have to get a new one!) and Kate Spade perfume which I can't find in London anymore, and they didn't have it in Tokyo either!